Our recommendations for San Blas activities are mentioned the following guidebooks. Lonely Planet "Puerto Vallarta & Pacific Mexico"
"... affordable adventure experiences including diving, kayaking, hiking, bird-watching, whale-watching, jungle boat tours, and visiting historical sites... local guides and practices sound low-impact environmental tours... three-day diving, fishing and camping extravaganza to Isla Isabel." "...for an inclusive tour consult with Diving Beyond Adventures." 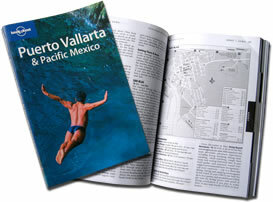 This section includes a San Blas map, and other useful information about San Blas. "...Douglas Storms recommends panga (launch) captain Pato Murillo for close-in fishing excursions, for fish, such as snapper, mahimahi, sea bass, and tuna." This section includes a town map, and detailed information about the history of San Blas.